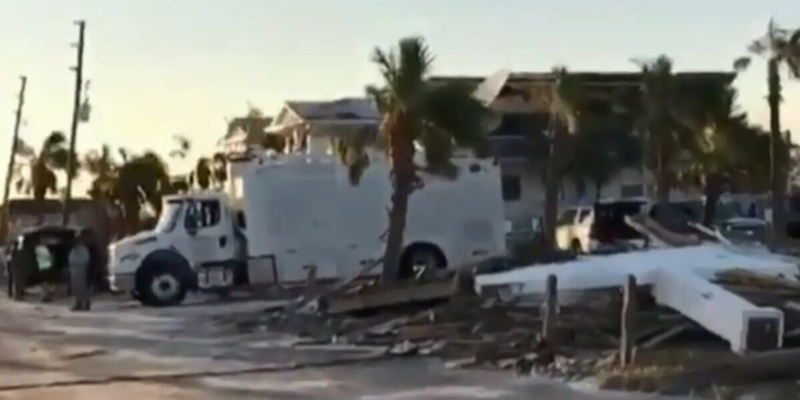 PALM BEACH COUNTY, Fla. - Help is headed toward the Panhandle from all over Palm Beach County as people up north face severe destruction following Hurricane Michael. "To see the devastation and be able to do something about the devastation, I think that’s going to be the strength and the strength in my guys going up there, and making things happen and putting people’s lives back to normal," said Charles Phoenix, a superintendent for West Palm Beach Public Utilities. Phoenix and more than 20 other workers from the West Palm Beach utilities department are driving a caravan of trucks, heavy machinery and generators to Gainesville tonight, where FEMA will then direct them to their next stop in Bay County. "Working on utilities, broken pipes, fixing leaks and moving debris," Phoenix said. They plan to be up in the disaster zone for seven days. "Hopefully we can really help out," said James Looney, operations and management superintendent. Palm Beach County Sheriff's Office already has 45 people in the hardest hit areas helping with law enforcement. "To stop looting, to stop crimes," Sheriff Ric Bradshaw said. In addition to security and traffic enforcement, PBSO employees are helping out with radio communications and search and rescue missions with K9 units. “There are search and rescue teams, but the human element is not as near as good as dogs," Sheriff Bradshaw said. Bradshaw said his employees helped in the Keys after Hurricane Irma. They are self-sufficient when they enter a disaster zone by bringing their own tents and food. "The larger sheriffs in the state are the people that have the capacity to do this so we're more than happy to help and get up there," Bradshaw said. On Tuesday night, PBSO tweeted drone video of hundreds of homes devastated by the storm.